Bill has practised in commercial environments since 1988. He is also our Chairman and is charged with directing the development of the company and representing the company externally. He has a broad based experience in commercial law including property development (residential and commercial), licensed and unlicensed commercial contracts, bank finance and renewable energy. Bill acts for both borrowers and lending institutions in refinancing transactions, land option deals for various renewable energy developments and corporate business sale and acquisitions. Sarah studied at Napier and the University of Edinburgh and qualified as a solicitor in 2008. 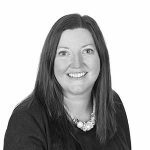 Sarah is involved in a broad range of commercial property acquisitions and sale transactions, development work, commercial leasing, property and development finance, corporate sales and acquisitions and also advises on a variety of employment issues for both employers and individual clients. Sarah also has particular experience in renewables and currently handles projects for wind farm developer clients. She also acts for investors developing wind projects and is active in negotiating and dealing with the necessary contractual documents from commencement to completion of the projects. Ross deals with all aspects of real estate transaction for clients and banks and with particular experience in property investment and development and renewable energy projects. Ross qualified as a solicitor in Scotland in 1989 and as a solicitor in England & Wales in 1997. Ross also acts for funders and has deal structuring experience for private joint venture arrangements. Ross is a former part time tutor at the University of Edinburgh tutoring in Commercial Leasing in the Professional Practice Post Graduate Unit. Karen is a Partner in our Private Client division dealing with all aspects of Wills, Powers of Attorney and Executries for our clients. 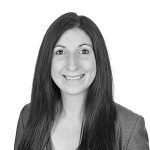 She is also a member of the Residential Property team within the firm taking on residential sales, purchases and re-mortgages as well as new build developments (from purchase of the development site, site assembly and deed of conditions through to the sale of individual units). She also has many years of experience in security work for both commercial and individual clients. 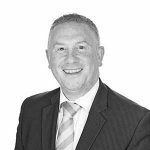 John has practiced in Edinburgh and Tayside for over 20 years and has extensive experience in the corporate, commercial and real estate fields. In recent years John has taken on many renewable energy transactions acting for developers and land owners in the wind and hydro sectors. John also deals with many corporate transactions including company share sales and acquisitions, lease transactions and acting on behalf of property developers. David has over 25 years of experience of contracts, dispute resolution and family law work. He regularly represents clients’ interests in the Scottish Courts and can also provide advice on alternative forms of dispute resolution such as arbitration and mediation. He is involved in advising clients on all manners of different contract disputes, professional negligence, divorce and separation, in addition to a wide range of land and property matters. David particularly enjoys planning matters and has considerable public enquiry work experience. 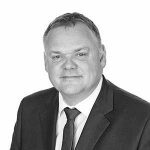 Mike has considerable litigation expertise, over the last 20 years, having worked in both a large commercial practice and a smaller, specialist, court firm. He is extremely experienced in both Sheriff Court and Court of Session actions. He currently practises in commercial litigation, including a large caseload of contractual disputes, principally commercial actions in the Court of Session, and Judicial Review. 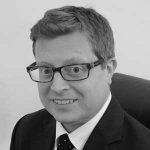 Mike also deals with debt recovery and bankruptcy, guardianship applications, adults with incapacity and criminal law matters including Road Traffic Offences and is very experienced in Legal Expenses Insurance, having managed a large team and very wide caseload. He also acts as Edinburgh agent for many firms outside Edinburgh in Court of Session and Sheriff Court cases. 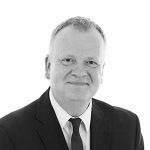 Mark has over 30 years of experience in all aspects of Private Client Work including Wills, Powers of Attorney and Executries for our clients. He holds a Diploma from the Society of Law Accounts in Scotland through The Law Society of Scotland. Mark also has many years of experience in Trust administration and accounting together with managing clients finances on their behalf on the instructions of their Attorney. Keith is an Associate in our commercial team. Keith qualified from the University of Edinburgh with LLB (Hons), where he also obtained his Diploma in Legal Practice, and completed an MSc in Real Estate Management and Development at Heriot-Watt University in 2014. 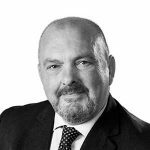 Keith has experience of all aspects of real estate transactions, including investment acquisitions and sales, commercial leasing and development work, and has also advised on insolvency disposals and undertaken security work. Prior to joining Ennova Keith worked for the Organising Committees of the London 2012 Olympic Games and Glasgow 2014 Commonwealth Games. Rosie is an Associate in our dispute resolution team. Rosie graduated from the University of Edinburgh in 2009. She is also a part-time tutor in Family Law at the University of Edinburgh. 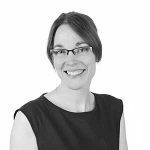 Rosie has a varied caseload which includes advising clients on financial provision and child law matters on divorce, cohabitation claims, and the drafting of prenuptial, pre-civil partnership contracts and cohabitation agreements. She also undertakes more general dispute resolution work including guardianship applications, commercial disputes, debt recovery and regularly appears in the Sheriff Court on behalf of her clients. Fraser studied at the University of Aberdeen and qualified as a solicitor in 2012. Fraser joined Ennova Law in November 2015 and has advised on a broad range of property transactions including acquisitions and sale of commercial property, security work for borrowers and lenders, insolvency disposals, auction sales and acting on behalf of developers as well as landlords and tenants in the negotiation and implementation of commercial leases. The majority of the work Fraser undertakes is on behalf of individuals, partnerships, companies (SME’s generally) and charities. John Nimmo is an experienced corporate, funds and investment company and investment services lawyer. He has acted on listings in aggregate around £2bn on the LSE (including setting up new investment companies and over twenty full prospectuses), and has launched unlisted investment vehicles. John has also acted on both hostile and recommended public takeover offers (always on the winning side). 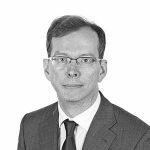 He has previously advised funds managed by a wide number of the major investment houses and has advised corporate and individual clients on a wide range of acquisitions and investments as well as having helped a number of clients obtain FCA Authorisation. 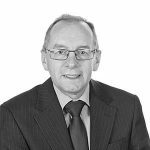 John has extensive experience of helping start up, spin out and growth companies, acting variously for management, the company and investors. He also has first hand experience of starting a business which is rare among lawyers. 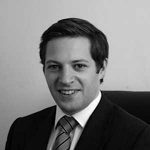 Max is an experienced corporate lawyer who has worked for Ashurst LLP and Maclay Murray & Spens LLP. He also worked as in-house legal counsel at NCM Finance Limited. He has practised in Scotland, England and Germany. He has extensive experience of a wide range of corporate and commercial work and specialises in joint ventures, private equity, mergers and acquisition, commercial contracts and advising start-up companies and funds. He is the chairman of the German British Chamber of Commerce in Scotland. He also speaks German fluently. Max holds a master in law from the University of Edinburgh and is Scottish qualified. 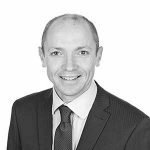 Prior to joining our team Edward was at Turcan Connell where he worked in the tax and trust, and asset management departments. 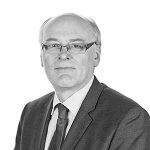 Since joining he has acted on fund raisings and reorganisations for a number of companies across a range of service and industry sectors, together with advising them on structure and contractual issues. 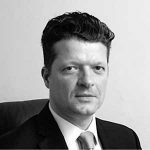 Edward has acted for companies raising funds from both UK and US investors and has experience of dealing with regulatory issues in the USA. 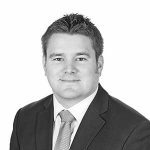 Edward is currently undertaking exams in corporate finance with the CISI and deals with a range of fund and investment related work.